Heat oven to 350°F. 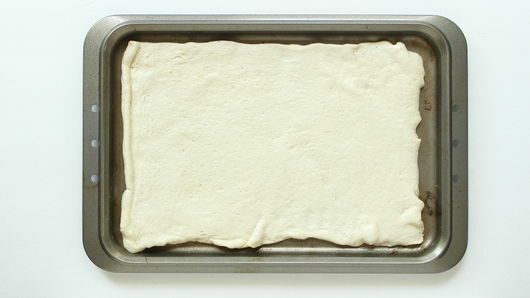 Unroll dough onto 13x9-inch cookie sheet. In small microwavable bowl, microwave water on High 40 seconds. Stir in baking soda until dissolved. Using pastry brush, lightly paint entire crust surface with soda-water mixture. Let rest 5 minutes. 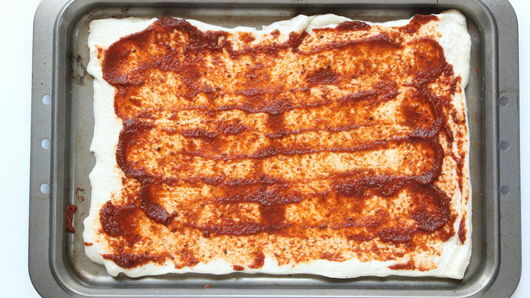 Spread pizza sauce over crust to within about 1 inch from edges. 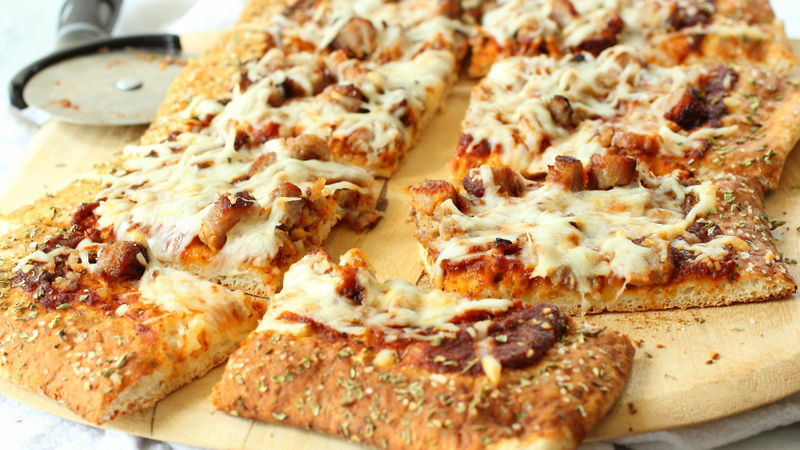 Top crust evenly with sausage. Sprinkle with cheese to completely cover sausage. Sprinkle oregano around edges of crust; sprinkle salt evenly over oregano. Bake 12 to 15 minutes or until cheese is bubbly and melted. Buy precooked sausages and save time. You can switch the oregano for any other dried herb you prefer. Add some crushed red pepper flakes if you like your pizza spicy.